Win tickets to see a English Premier League game with Pinnacle Sports | Compare odds UK, Europe, Premier League and European leagues. To celebrate the start of the English Premier League (EPL) Pinnacle are launching a brand new promotion for all customers. A full list of acceptable countries for players signing up has been added below. 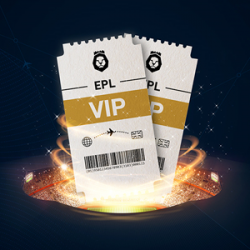 Players can earn tickets to win an amazing trip to see a Premier League game of their choice. Pinnacle will pay for the winner’s flight, accommodation and spending money along with 2 VIP tickets to their chosen game. What an amazing prize. Both new and existing customers can enter by placing a $20 bet on the EPL to receive 1x entry into the prize draw. Every subsequent $20 wagered on the EPL between August 10th and August 28th provides the player with more entries into the draw. More bets = More chances. Simple. Who can enter the competition to win EPL tickets? Anyone eligible for a Pinnacle account. People resident in the follow countries are not allowed to open an account and enter the competition, sorry. This has been taken direct from Pinnacle’s terms and conditions. Winning this prize sure will make a nice vacation for someone to visit the United Kingdom and enjoy some soccer. Get all the details at Pinnacle now. Betfair keep blowing up my mobile with crazy offers! Get a free manual that explains how to make risk free profits and a regular income from Betfair.